In the series on the celebration of everyday objects, The Four Cups is an attempt to visualise the beauty of simple things like a small coffee cup. One might assume these cups are, aside from the obvious colour difference, the same. However, they are not the same. There small differences in all aspects of dimension and proportion. 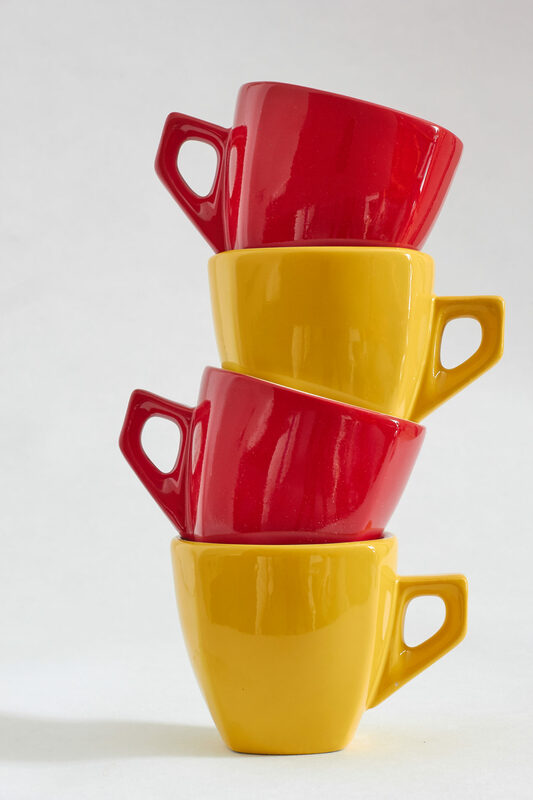 In this photo, I wanted to show what happens when you stack these cups and hopefully surprise you with how they do not stack perfectly vertical.